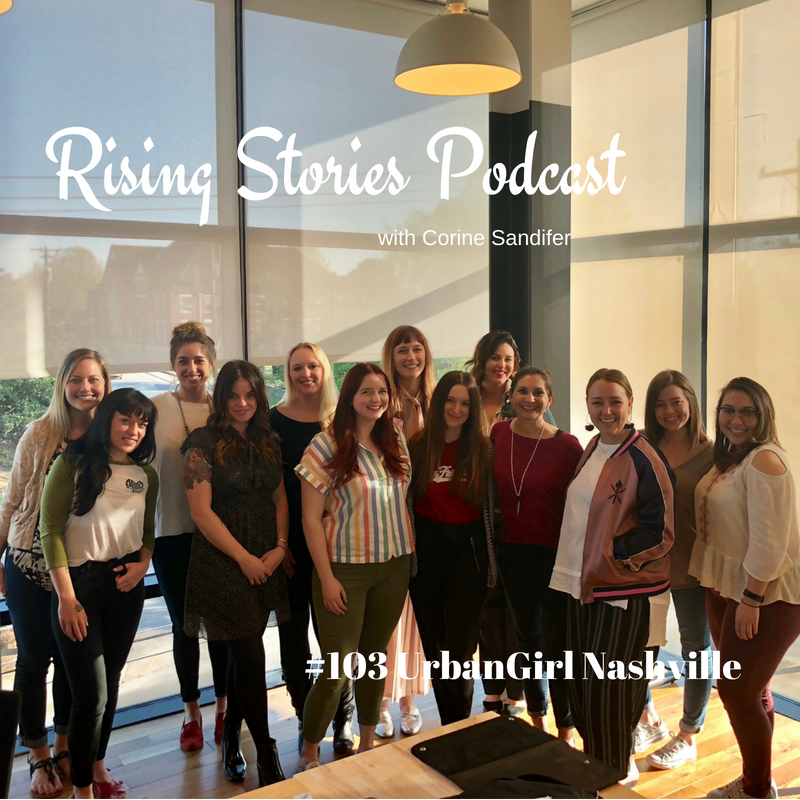 My guests for Rising Stories Podcast #103 are the gals from UrbanGirl Nashville. UrbanGirl is a local Women's Collective founded by Juliana Cox and Lindsey Sherrod. Juliana and Lindsey started this group because they wanted to provide a place for women who are new to this city to connect with each other. It's a way to build community with other newbies & Nashville natives. This group has grown to over 2,000 women. I am going to warn you, ladies, after you hear the story about the campfire night, you are going to want to pack up your things and move to Nashville. We talked about what it's like to move to a new city and how to make those lasting connections. You'll also hear a great story towards the end from someone who was not only new to Nashville but she was new to this country and her brave move to find community. A special thanks to WeWork for sharing their space with us for the recording of this podcast.